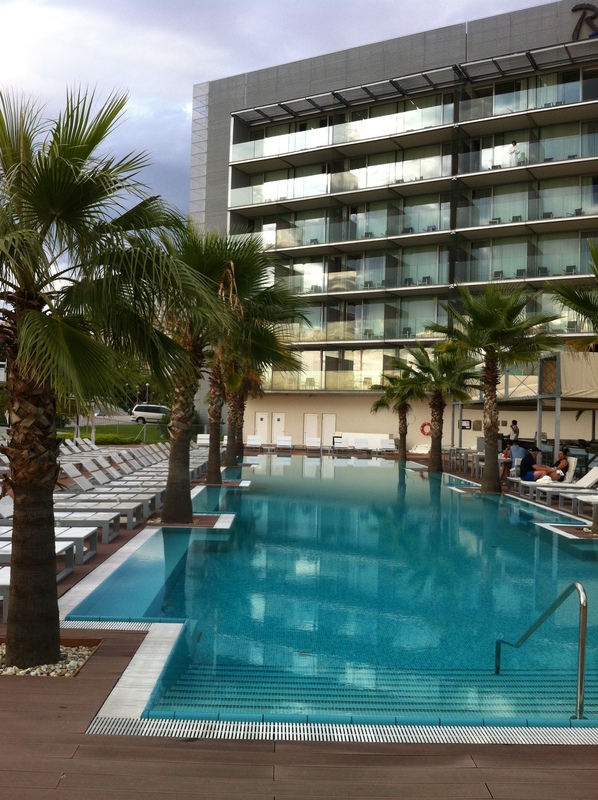 The Radisson Blu in Split, Croatia was the last Club Carlson hotel we stayed in during our trip and I was expecting great things based on our stay at the Dubrovnik, Radisson Blu Sun Gardens Resort a few weeks earlier. 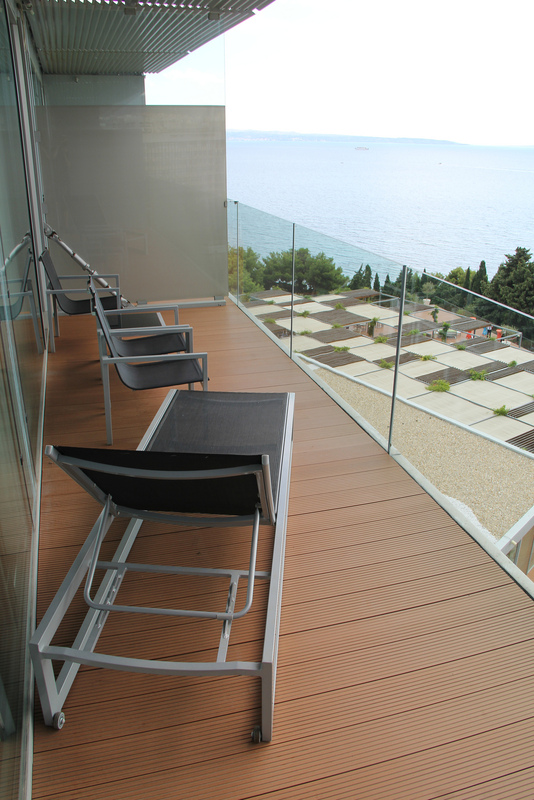 The Radisson Blu Split is an ideal Club Carlson location for anyone looking to be close to shops, restaurants and nightlife in Split. While it’s not located in the city center, it is only about a 20 minute walk or 5 min drive to most of the city’s attractions. The hotel’s location is much more convenient than the Radisson Blu in Dubrovnik where the property was a 20 minute drive to the city. 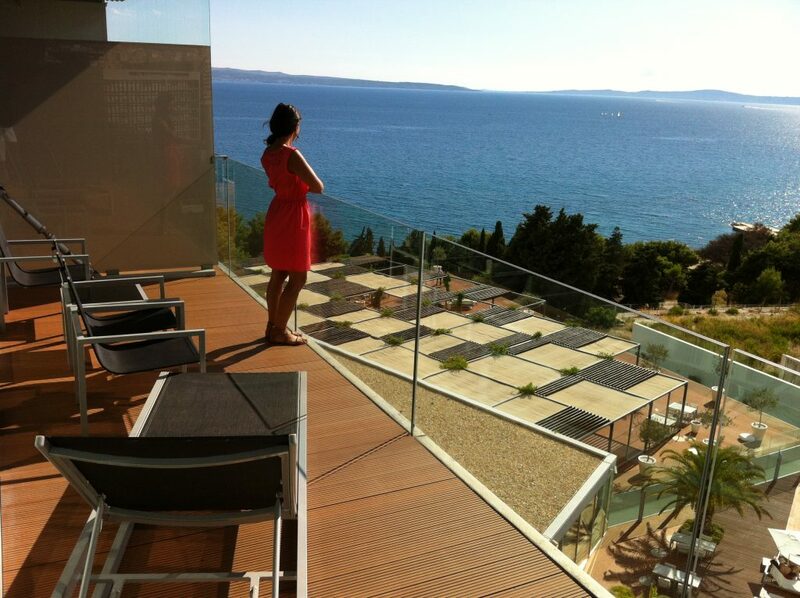 During check-in at the Radisson Blu Split, the concierge was very friendly and informative about what to do and see in the area. Even the hotel manager came down to the lobby to welcome us, presumably because we were Gold elite status and had contacted the hotel prior to our arrival. 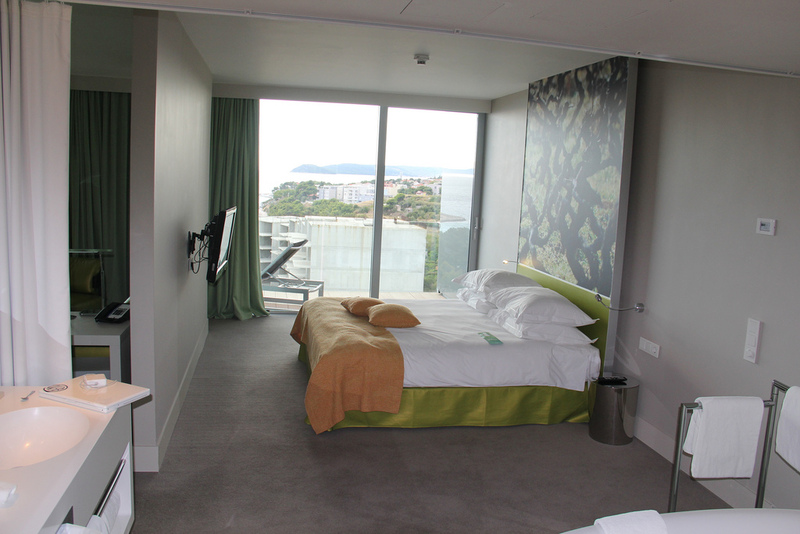 We were even upgraded to a junior suite with balcony that had a great view of the Adriatic sea and sunsets every evening. The junior suite has a island wall separating the large living room from the bedroom, an exposed bathtub, separate rain shower, and a his and her closet space. While the suite was spacious and large, the pixilated wallpaper decorations of grape vines and color scheme came off a tacky. The lime green leather couches and bright curtains were bit a loud. In my opinion, the best feature was the enormous amount of closet space, which meant we could keep our bags hidden within the walk in closet space. 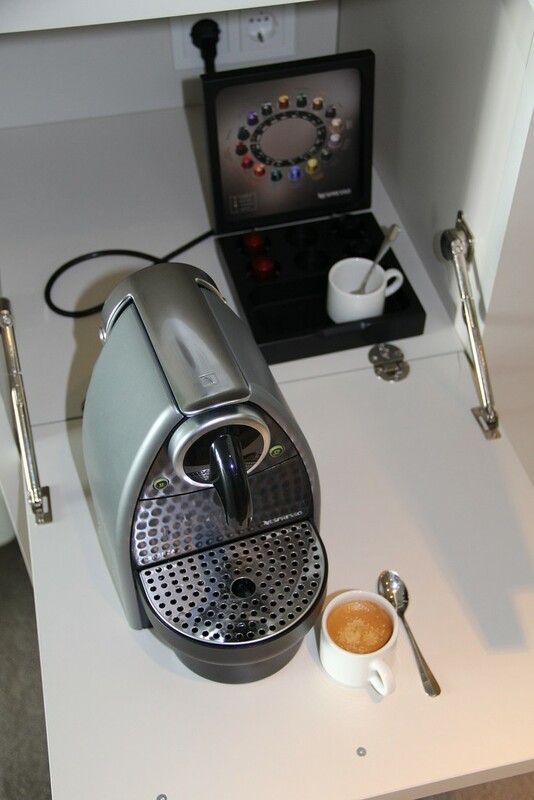 Rand enjoyed the Nespresso machine that was kept stocked everyday and the welcome gift of dried fruits and nuts that was waiting for us in our suite. Aside from the bright colors, the room was wonderful to be in and very airy. The second we walked in we slid open the two-floor to ceiling sliding glass doors to the balcony and let the sea breeze flow in. However, one drawback to the view was a half finish and abandoned construction site between us and the sea (minor detail). 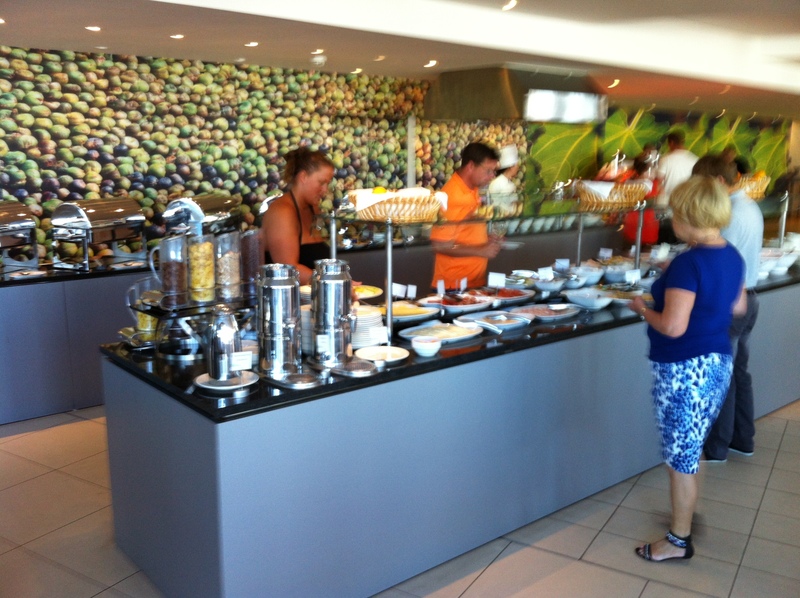 Our reservation came with complimentary breakfast at the Fig Leaf restaurant that we enjoyed every morning. The spread was diverse and alway fresh with made to order options. Both nights we had dinner in Old Town Split where we found one of our favorite restaurants of the trip–restaurant Sperun 3. This place has amazing seafood and service and is highly recommended. For a quick bite on the street I would recommend grabbing some cevapi at Kantun. 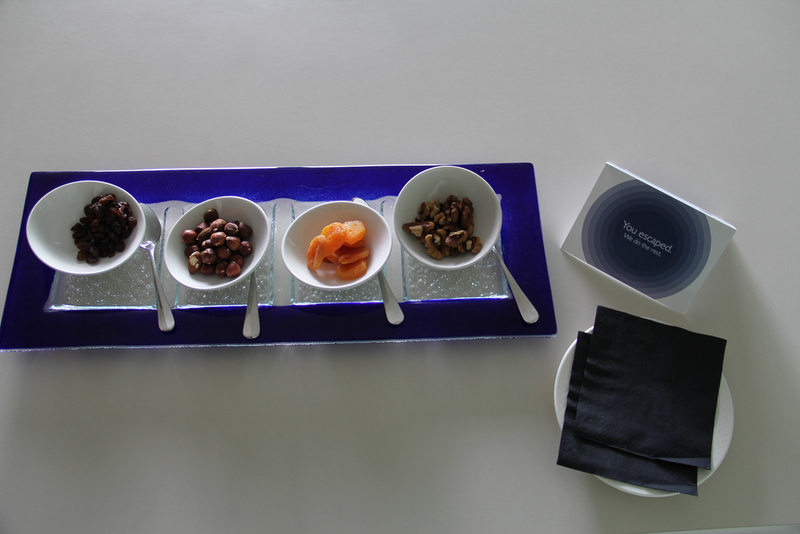 The hotel prides itself on the spa service and fitness center that it offers. 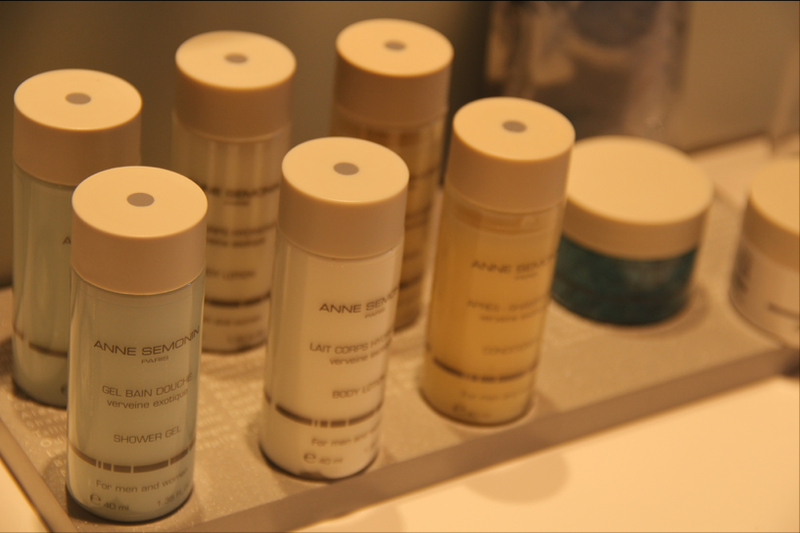 They have a full service spa with Ann Semonin products as well as a relaxing sauna, steam room and thermal baths. There are both an outdoor and indoor pool, and also an adult only relax sauna and lounge area. The indoor pool was much busier with families and children lounging and swimming whereas the outdoor pool area was much quieter and relaxing. There was also an outdoor “kiddie” pool, but there weren’t any children playing in it, most likely because it was early September and most are back in school. The beach is where the Radisson Blu scores low in my book. It has a ‘private’ beach that is right outside the resort. Since it is more of a large deck area with about 40-50 lounge within a section of public beach, it is far from an exclusive location. Like true miles and points earners, we took advantage of the free street parking rather than paying $20 a day for their on-site parking garage. We received a room upgrade to a Junior Suite that normally runs ~$630 per night during our two night stay. 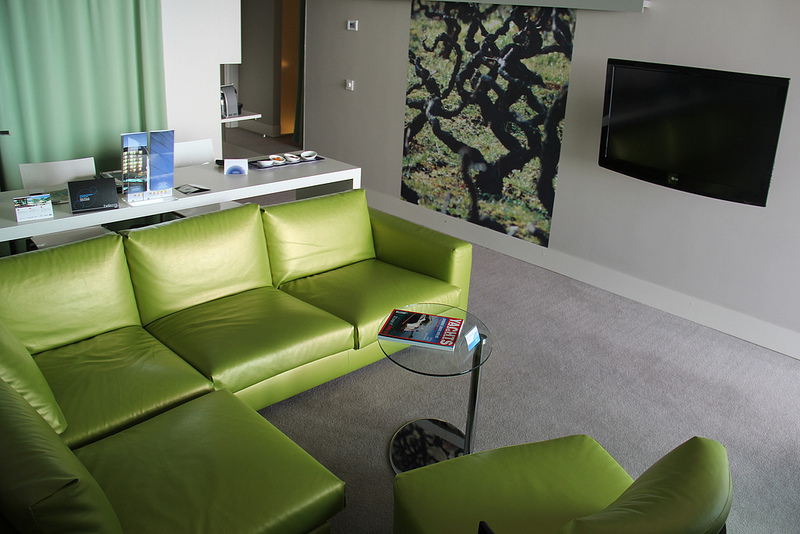 We used 44,000 Club Carlson points to book our reservation and didn’t spend a cent out-of-pocket. When we ended up checking out for our stay that would have normally cost $1200, there was that awkward moment when our bill didn’t even total a cent. 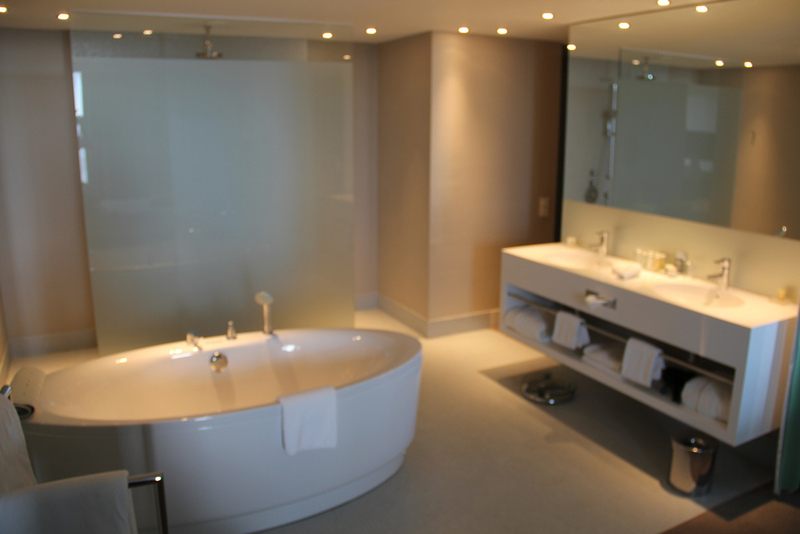 Our stay was certainly comfortable with our room upgrade and although I cannot speak for the standard room, the property was on par with the other Radisson Blu properties we stayed at on our trip. *If you liked this post why don’t sign-up to receive free blog posts via email (max of 1 email per day!) or like us on Facebook! And as always feel free to ask questions in the comments below or email me!